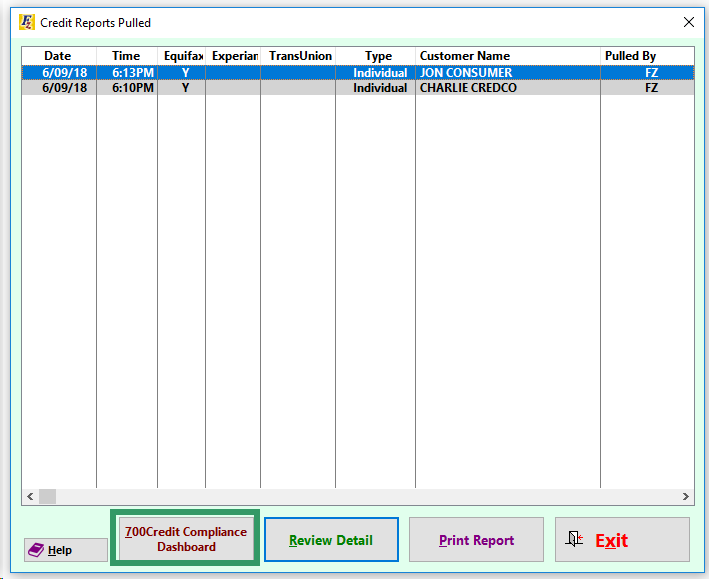 and for existing customers by clicking on “Customer Activity” (both at the top of the screen in Frazer). 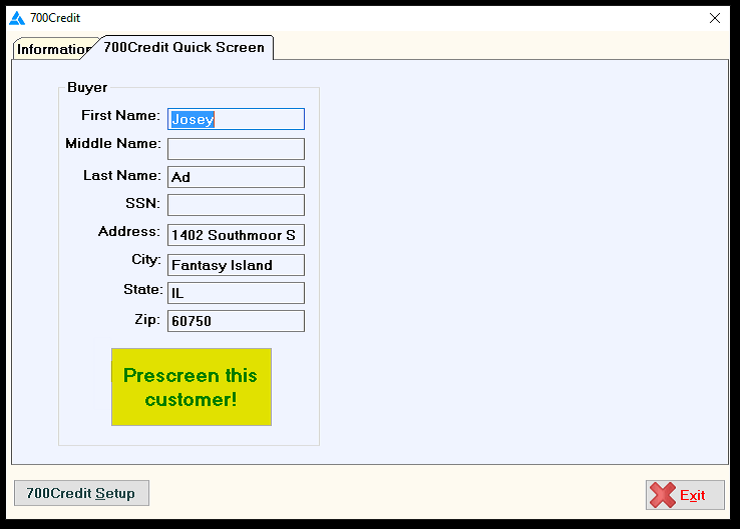 From the Pricing Tab in Enter Sales, click on the “Credit Prescreen” button. 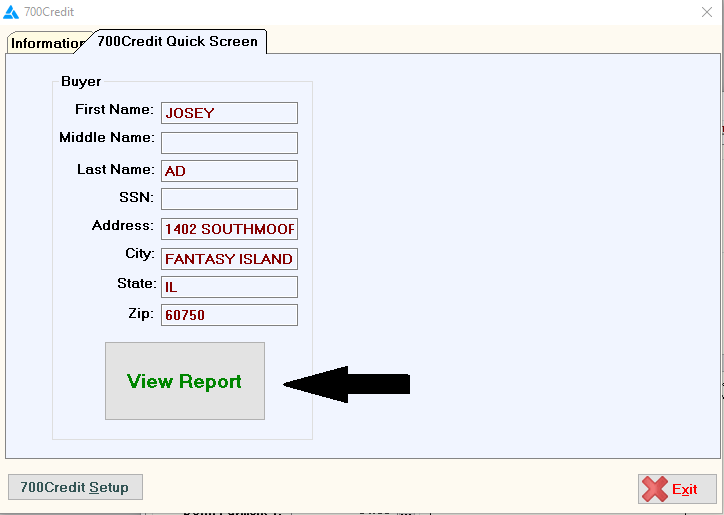 After clicking the “Credit Prescreen” button, you will see the screen below. Here is a sample result. You may click on the Certificate tab or Print Now button to print a certificate. 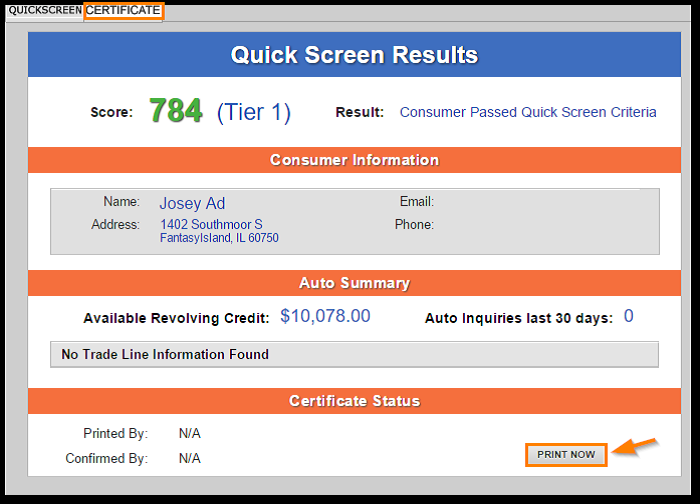 ®Fail/Score – The applicant did not meet the cutoff score selected by the dealer. ®No Hit – The applicant could not be found. If an applicant Passes the prescreen, a certificate is generated. 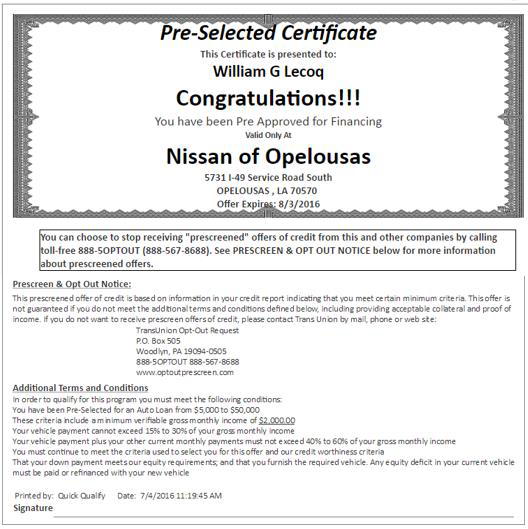 Below is a sample certificate that is required to be given/emailed/mailed to the consumer after the Prescreen is run. button and pressing the new “View Report” button. and then “9- Pulled Credit Reports”. If you have any additional questions on the Frazer system, please feel free to contact Frazer’s support line at (888)963-5369.